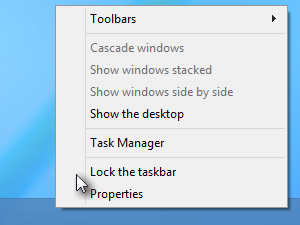 By default Quick Launch is not enabled in Windows 8 Desktop, but fortunately it's easy to bring back this very useful toolbar. 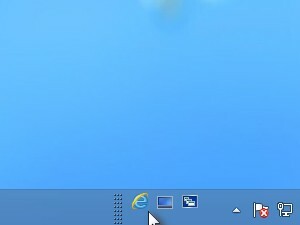 With right mouse button click on empty space in taskbar. 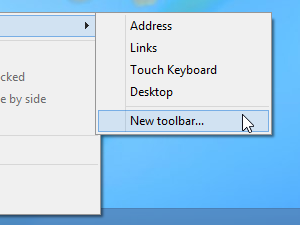 From the menu select Toolbars. 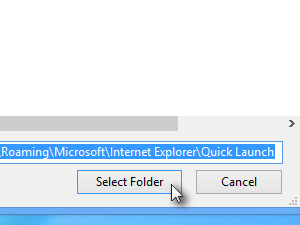 Click Select Folder to add the QuickLaunch toolbar. Now we will also make some modifications to make it more user friendly. 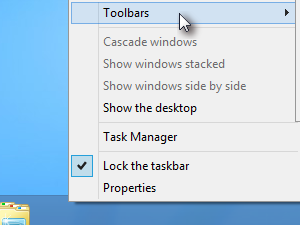 Again right click on the empty space in taskbar and clear the checkbox at Lock the taskbar option. Now we can resize the QuickLaunch so that we can see all the icons. Because we just want to use small icons we will now remove the Title and Text. 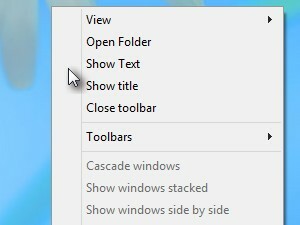 Right click on QuickLaunch text and clear the checkboxes at Show Text and Show title. 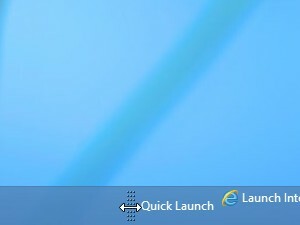 We can now start using this useful QuickLaunch toolbar for quickly launching applications. We can of course drag additional icons into QuickLaunch and make it suite our needs.